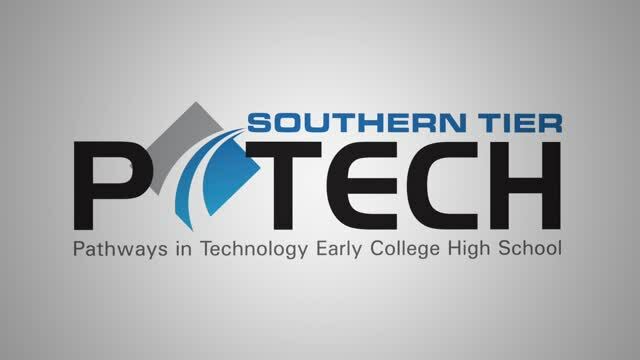 Pathways in Technology Early College High School (P-TECH) is a grant-funded program that enables students to earn an associate degree while simultaneously working toward their high school regents diploma. 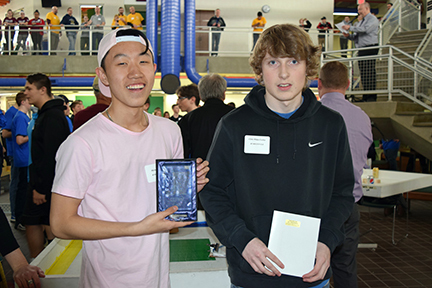 Students entering grade nine are selected for this six-year program based on an application and recommendations. Each student receives intensive, individualized academic support from high school and college faculty in courses that are co-taught by a variety of academic and technical instructors with specific industry skills and training. 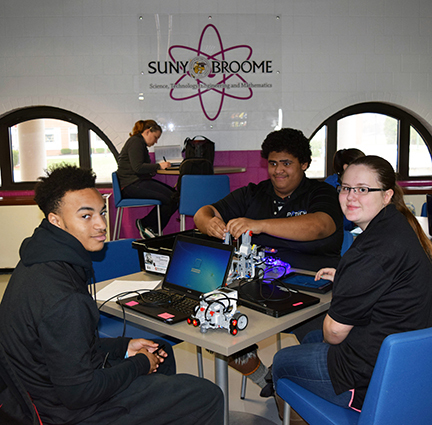 Students work in a project-based, high-tech learning environment created to simulate real-world problem solving and creativity. After-school and summer support are important components of the program. 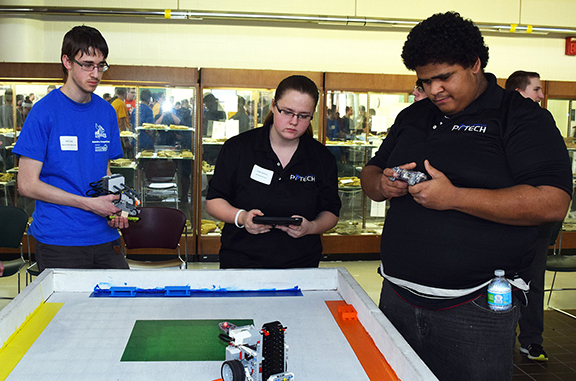 P-TECH prepares students to earn an associate degree in one of three technical areas: computer technology, engineering technology, or health studies. Our P-TECH Health 10 students have been brainstorming ways they might reach out to classmates and peers throughout the region who are struggling with issues that far-to-often lead to thoughts of suicide. To that end, they formed teams to create public service videos focusing on where and how young people can get help. Part of that project included a recent presentation to members of the Broome County Suicide Awareness for Families and Educators (BC SAFE). Click on the headline to view photos of the presentation. 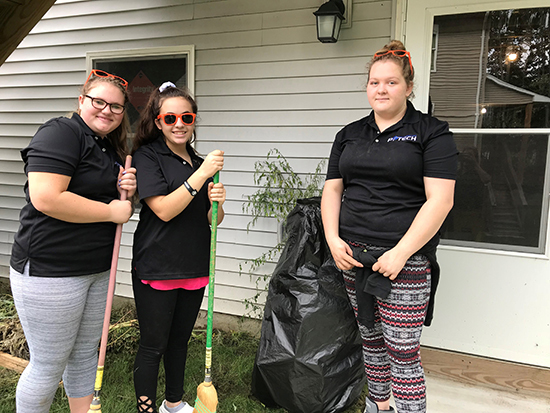 On Friday, September 14, P-TECH 9 students partnered with Broome County Habitat for Humanity for the Day of Caring to honor those who lost their lives on September 11, 2001. 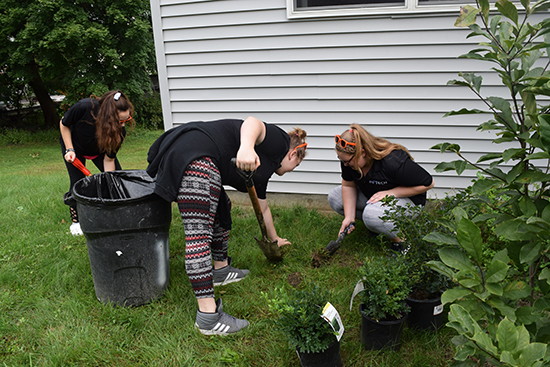 Students helped with yard work and landscaping around a Habitat home on Willow Ave in Johnson City. 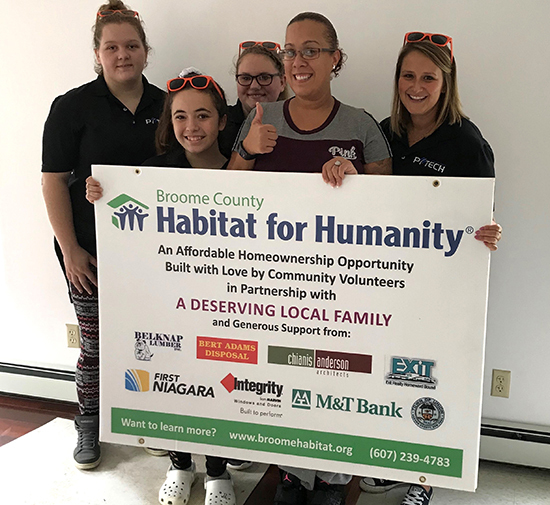 A family will be moving into the home in October and the students got the chance to meet the homeowner, Jessica, who is excited to move in soon. 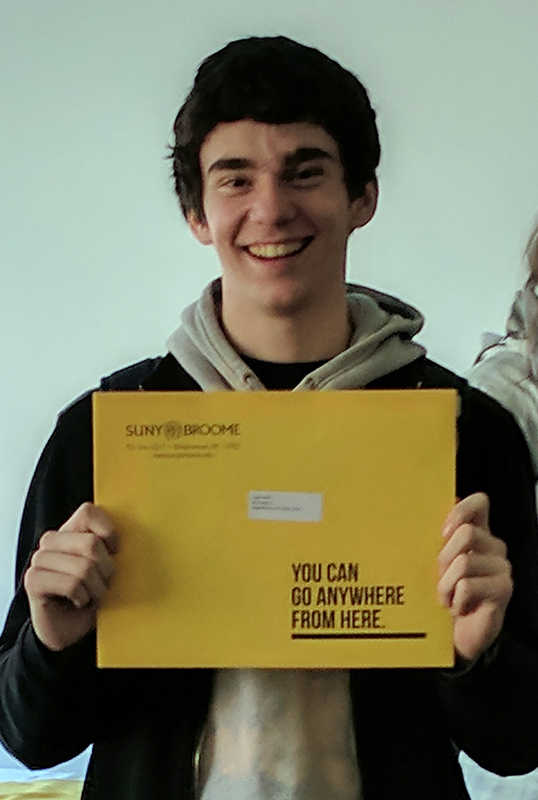 On January 26, seniors in the P-TECH program were accepted as full-time students at SUNY Broome (see photo of students holding their acceptance letters). They will begin in the fall taking 12 or more credits. The students met with their newly assigned advisors and began selecting the classes they will take as part of their fall schedules. 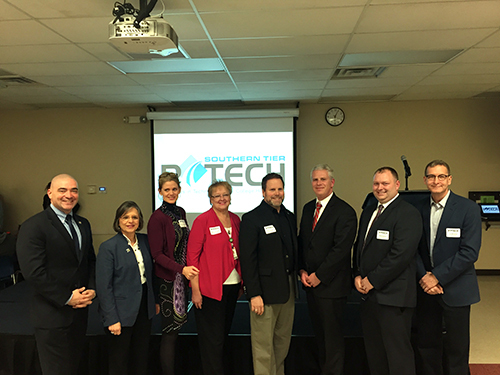 Students, family members and community supporters of the P-TECH program gathered at Broome-Tioga BOCES’ main campus January 12 to celebrate the New Year. The students heard powerful messages about opportunity and hard work from local legislators, with Lockheed Martin’s Ron Crawford speaking about setting goals and how to achieve them. The event was a huge success, with more than 250 people in attendance. The P-TECH students were challenged to participate in a “Thanks-for-giving” project. 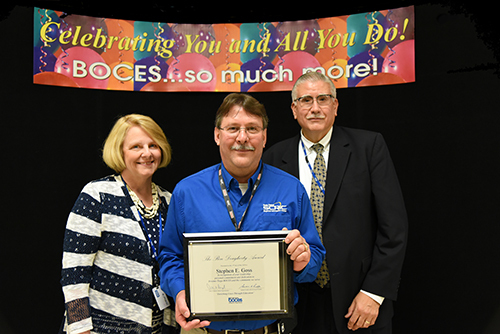 They were split into four groups with four focuses: giving back to BT-BOCES, their home district, P-TECH and the community. The students in the group focused on community created what were called “warmth for winter packages” for the needy. 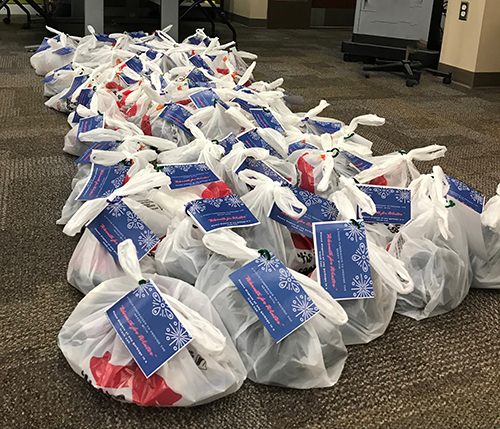 The packages entailed a grocery bag containing a pair of gloves, a hat, socks, and something to eat. All were donated under the tag #winterwarmth. 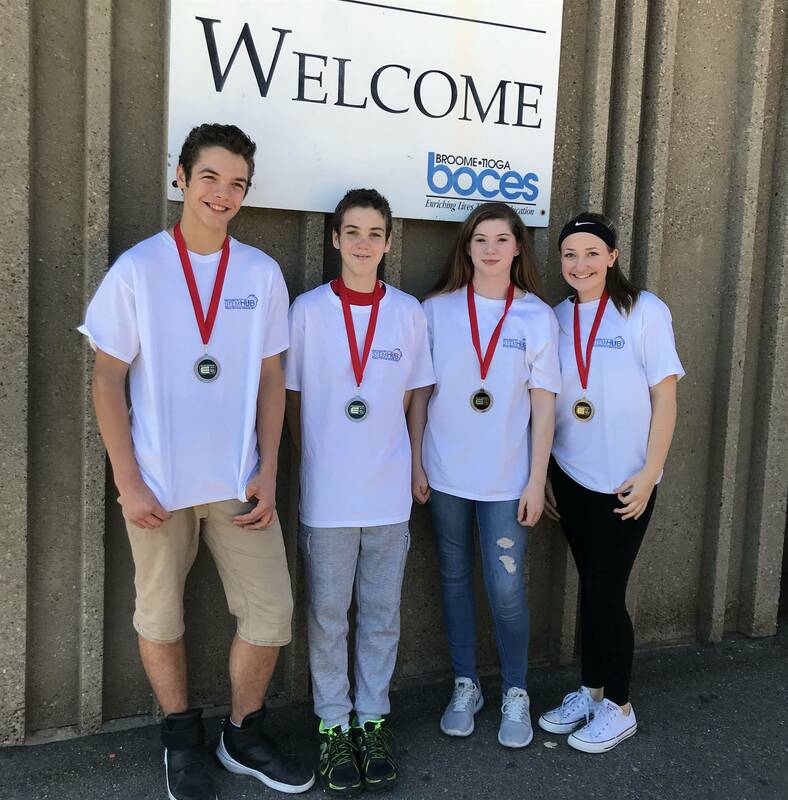 This was a great opportunity for the students to show their support for the community and help improve the lives of those who are less fortunate. The state now requires all high schools in New York to provide instruction on hands-only cardiopulmonary resuscitation (CPR) and training in the use of automated external defibrillators (AEDs) to students as part of the health education curriculum. This means that students must be provided with CPR and AED training before they graduate. 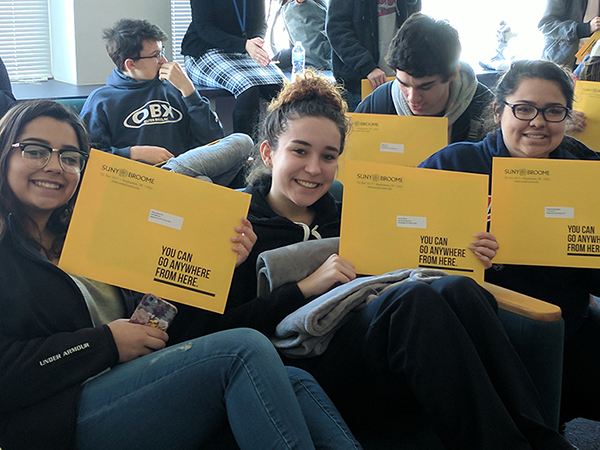 Students will need to be provided this instruction only once during their high school careers, and our P-TECH Health Studies students in 11th grade are tackling this task head-on and with enthusiasm. Following their training, they must take and pass a CPR exam to be CPR/AED certified. 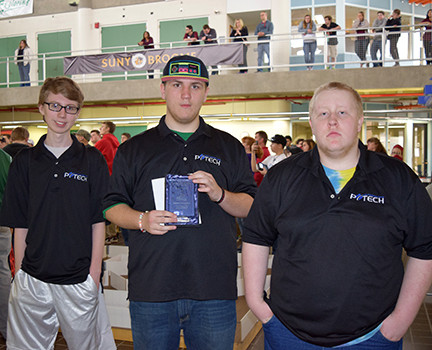 For more information about the P-TECH program, contact Assistant Principal Matthew Sheehan at 607.763.3346 or by email.